SCM Volunteers minister to men, women and teens in Colorado, Wyoming and Alaska(housed in CO) prisons as well as county jails. We offer weekend seminars (mini-retreats), worship services, Bible studies and one on one mentoring. 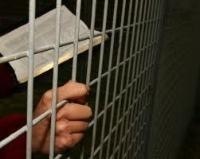 Some of the inmates will never leave prison, but their lives are changed and they become missionaries to people who are largely unreachable in our society. SCM offers groceries to families in crisis and to ex-offenders and their families through a partnership with Community Food Share and Front Range Christian Fellowship. Backpacks: SCM provides backpacks ex-offenders newly released from prison or jail. The backpacks are filled with towels, socks, hat and gloves, toiletries, a wallet, etc. Bibles and Literature: We provide English an Spanish Bibles as well as inpirational books. Hope Voucher: A local community thrift store allows our ministry to hand out $20 vouchers for clothing, shoes and accessories. RTD Bus Tickets: We issue bus tickets for local and express trips for appointments and job interviews. Birth Certificates & Identification: We will apply and pay for new birth certicates for all states and ID's for the Boulder County local area. Though my walk with God is presently strong and I am blessed it was good to re-dedicate my life, with my mouth, to the Lord. It was very uplifting to hear, how important the Holy Spirit is in our lives. I want to thank you for your time and service. My walk with God is strengthened and encouraged. Praise God! Coming to this seminar has helped me a lot. I have been backsliding and this has helped me understand that the Lord is my Savior and I need to stay connected to Him. I really enjoyed the seminar. It helped me get back in touch with God. It also gave me a chance to re-dedicate my life to the Lord. Thank you for taking the time to come and be with us. Hope to see you again soon. God bless all of you. May God’s blessings and grace be on you to carry out God’s mission.